I no longer call Ian McEwan my second favourite novelist as I did from about 2006 to 2009, not after Solar, not after falling out of love with Saturday. But even if On Chesil Beach is his last masterpiece, I will probably keep reading every novel he publishes. The Children Act (2014) is a case in point. I read him because even when he seems smug, or plays it safe (and he does both in this novel), he has these passages of acute insight into human experience – into stray thoughts, musings, sensations, reflections on the way life is. In this novel, a crisis in the marriage of a judge about to turn sixty comes at the same moment as a difficult decision over a seventeen year-old Jehovah’s Witness who is refusing a life-saving blood transfusion. As always, McEwan asks big questions, particularly on the nature of freedom and marriage, and explores them well. It feels familiar, one of the more representative and least innovative of his late novels, sort of like a middle-aged Chesil Beach crossed with Saturday. Perhaps it’s the sleek, smooth plotting – too flawless, too contrived, albeit not as outrageously as his worst novel, Amsterdam. Despite being a New Atheist (or practically so) he is surprisingly fair to Jehovah’s Witnesses. He seems to have done his homework, and to have attempted to think through their eyes, rather than knocking down a straw-man. He also understands what it is to be seventeen as acutely as any writer I know. But he is nearing seventy, and at one point the judge’s husband says, “We don’t have much time,” not talking about the concert about to start, but their lives, and I felt a sadness, knowing that this was McEwan’s own mortal rumination showing through. The Children Act was a perfect aeroplane read for me, which is high praise. 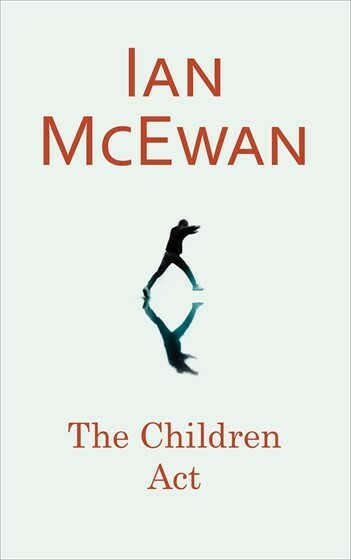 I’m a bit of a McEwan fan, but haven’t read anything since Solar or was it On Chesil Beach (whichever was the last of those two). I thought Solar was so-so, though it had a couple of good moments, but I liked Saturday. Still, the standouts for me are Enduring Love, Antonement and On Chesil Beach. Did you read Sweet tooth? I have it here but haven’t read it. I suspect I won’t be reading a lot more of his, not because I’m not interested really but because my reading is moving into other directions and I have read quite a bit of him. I thought Sweet Tooth was also a very good airplane novel – better than Solar. I should be reading Australian literature exclusively, really, but thought I’d read something of no relation to my studies. You have to read broadly to know what’s going on. I do, though not as much as I used to before I started blogging! Amsterdam won the Booker – you obviously think that was a mistake. Or is it another case of “right author, wrong book,” as someone said about Barnes? I’m with Nathan … I’m not sure I’d be as negative as he about Amsterdam but I certainly didn’t think it was the one to won the Booker. I barely remember it for a start whereas several others remain vivid.